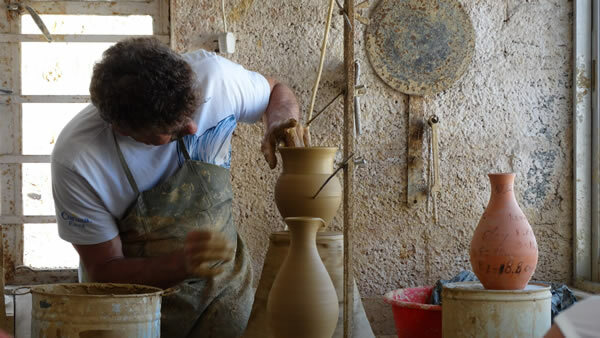 We begin our day with a stop at a pottery workshop in Yeroskipou village,where we will see how the potters continue the ancient traditional craft and if you are lucky you might even try your hand at the wheel. Our next stop is at the village square where we will see the unique 5-domed church of St Paraskevi, built in the 9th century reputedly on the site where the ancient temple of Aphrodite previously stood. We will also have a chance to see how the ‘loukoumia’ (Cyprus delights) are made and wander around the square with its local produce shops. 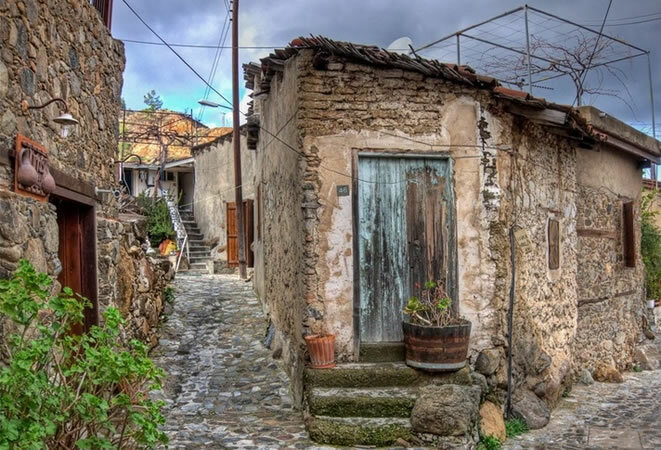 From there we will go to a small village, Letymbou, where we will visit Sophia’s traditional house where you can see rooms with the original furniture and décor as well as traditional costumes. 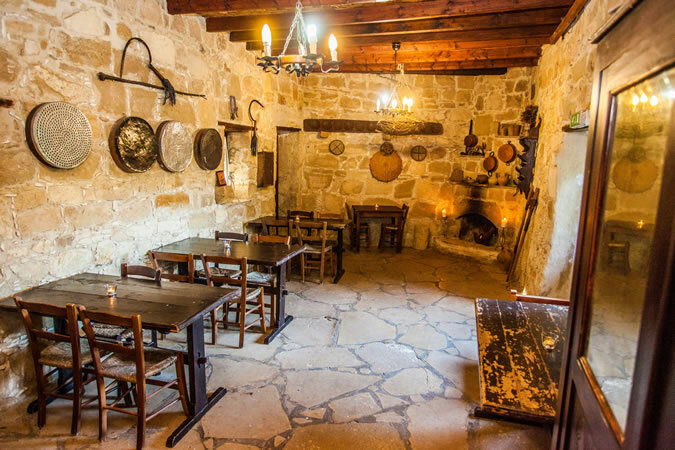 You will learn how she bakes village bread in the clay oven and makes other local delicacies such as the traditional halloumi cheese. 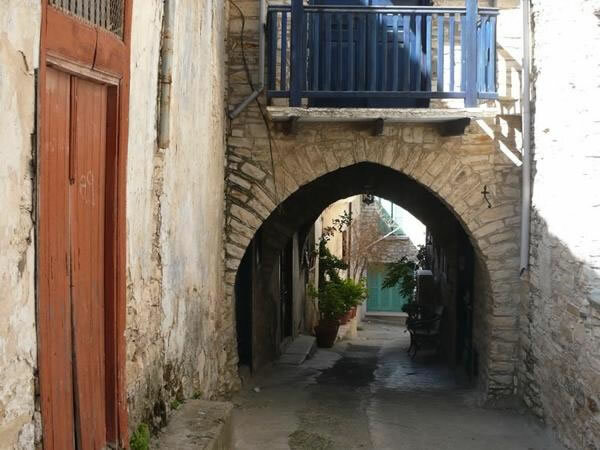 Afterwards we will have a special Cypriot breakfast prepared by Sophia with village style bread and coffee or tea (breakfast included in the price). 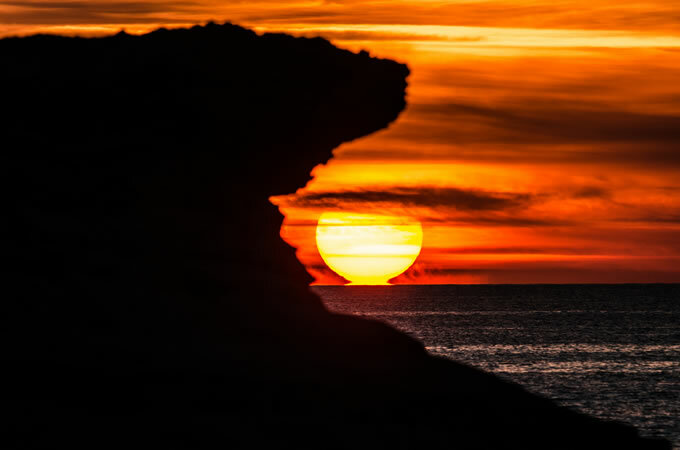 Next we will visit the Saint Neophytos monastery and the “Enkleistra”, an enclosure which was carved out of the mountain in the 12th century by the hermit Neophytos and contains some of the finest Byzantine frescoes. The main church of the monastery was built around 200 years after the death of St Neophytos and is dedicated to the Virgin Mary. 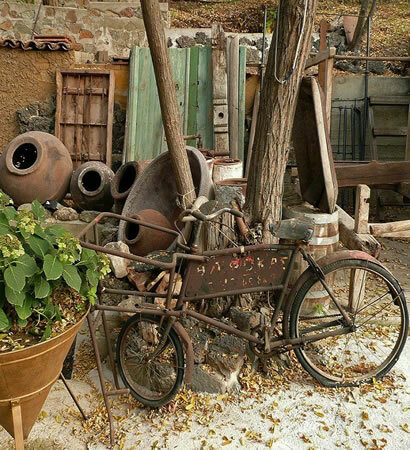 On the way back to Paphos we will visit a local winery where you will be guided through the wine production and have the chance to taste the different wines.